Frank Denton knows that he’s unlucky. So when it becomes gradually obvious that he has made more powerful enemies than he quite realized, and he’s about to lose his job, and he’s running out of money again … it only makes sense to leave. Drake Sanders knows he’s lucky. With a beautiful woman he’s ready to marry, with good work at good pay, he has all the happiness he needs. So when a mysterious informant draws his reporter’s eye to a long-ago crime, when enemies seen and unseen go to the farthest lengths to end him … the only thing to do is to stay and fight. Tiffany Summersby hates to lose, whether the title of valedictorian or a beauty pageant. While investigating a bizarre murder at the Magnum Point Lighthouse, she becomes entangled in something far more sinister than she had ever guessed. And there’s no question but that she’s in it to the end. Whatever the end may be. 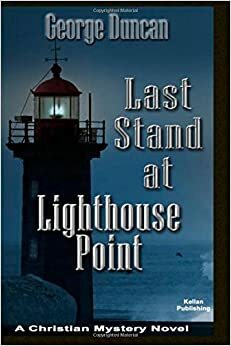 Last Stand at Lighthouse Point, written by George Duncan, is a spiritual thriller by way of a mystery. Much as Frank Peretti did in This Present Darkness, Duncan seeks to create a vision of the spiritual war that surrounds us, the battlefield – larger and more ancient than human life – on which human dramas play out. Both books glimpse behind the curtain, to the story behind the story. Duncan employs a large, convincing cast of characters, in which women are surprisingly prominent. Male-dominated casts are more common, and while I don’t object, it was interesting to read something more female-oriented. Duncan reinforces his characters – and, indeed, the whole novel – with a wealth of detail. All the detail creates a sense of realism, a strong present-day atmosphere. Yet I came to feel that some of it was extraneous. The novel would have benefited from a firm editor – to cull the unnecessary, perhaps condense certain scenes, and to correct the typos and other minor errors. Last Stand at Lighthouse Point confronts the hardest question posed to Christianity: Why does God allow so much suffering? so much evil and cruelty? How does a just God permit such terrible injustice, or a loving God permit so much pain? The belief in God’s absolute sovereignty is as universal among His people as the belief in His love and His justice; the resulting struggle to reconcile them is as old as the Bible. 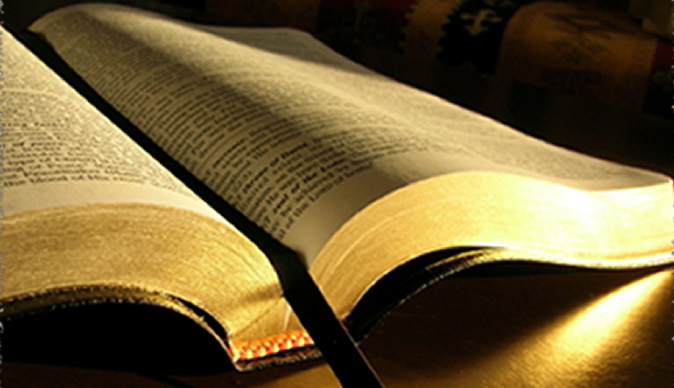 Job, the Psalmist, Habakkuk, Jeremiah – they all questioned what God did and allowed. The ultimate reconciliation has to lie with God; “You are Yourself the answer,” as C.S. Lewis said. And all other answers – even the best ones, rational and sympathetic and tightly constructed – they do not, by themselves, entirely satisfy. The idea that God doesn’t permit innocent suffering because He can’t help it doesn’t satisfy. What kind of Creator loses control of His own creation, and is there really any comfort in the notion that rather than living under the power of God, we live under the power of a web of spiritual laws? In all other respects, Last Stand at Lighthouse Point shows a charismatic theology. And the novel is other things, too: a story of spiritual warfare, a thriller that achieves genuinely effective moments, a southern mystery.